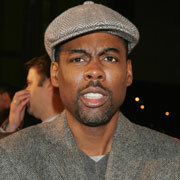 Chris Rock won't be back as the host of next year's Oscars telecast. Reaction to Rock's first stint as host was mixed. He drew a younger, more urban audience, but critics didn't love him. He also infuriated many self-important stars with some of his pointed jabs, including Jude Law, Tobey Maguire and the humorless Sean Penn. In the running to replace Rock: Whoopi Goldberg, two-timer Steve Martin and late-night hosts Jay Leno and Conan O'Brien. Whoopi Goldberg is AWFUL! I thought Conan did a good job with the Emmys a few years back, so I'd give to nod to him. But then, what do I care? I gave up watching the Oscars years ago.